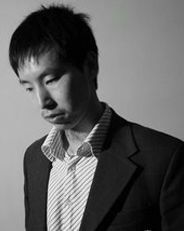 Yu Han Xi was born in 1976 in Hunan and lives and works between Hunan and Beijing. 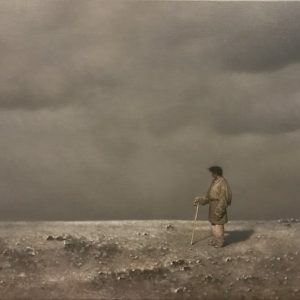 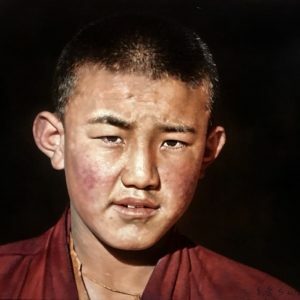 He had greatly impressed with his superior technical skills that surpassed even artists of an earlier generation. 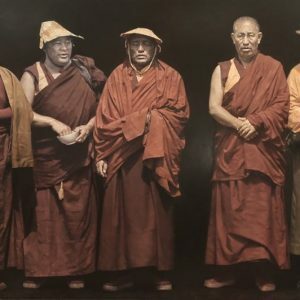 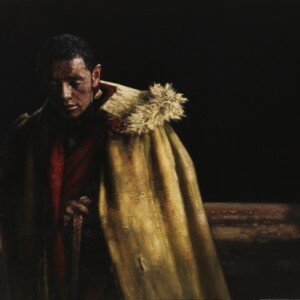 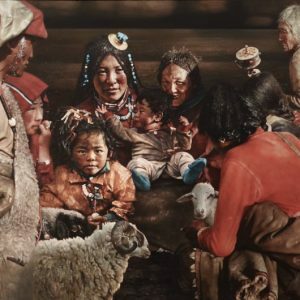 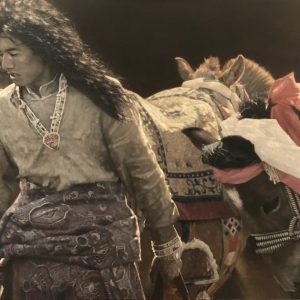 Stunning in their compositions and sometimes with a slight surrealistic element, his paintings of Tibetans are often large in scale, perfectly rendered with unbelievably realistic details and an amazing photographic quality. 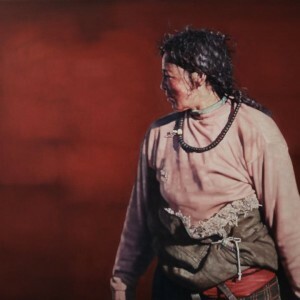 Not only are we immediately drawn into the mystical world of the Tibetan highlands and its people through Yu’s work, we can also appreciate the different textures depicted and marvel at the mysterious identity and at times, meditative expression of the subject portrayed.